diagnostic and treatment innovations for the spectrum of ear, nose and throat disorders. Our product portfolio continues to evolve to include the very latest in diagnostic and medical treatment technology. We are delighted to bring several new products to our portfolio in 2018 with the aim of assisting ENT clinicians in their surgical and outpatient practice. Products released this autumn include ChondroBLANK, a new biomaterial for maxillofacial reconstruction, the NasoNeb Sinus Delivery System and Reflux Band for the treatment of laryngopharyngeal reflux (LPR). ChondroBLANK represents an alternative treatment for patients requiring replacement cartilage where the alternative would be a synthetic or harvested solution. This new material benefits both the clinician and the patient. 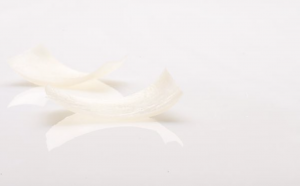 ChondroBLANK is reliable in its availability as a material, flexible to adapt to surgical demands and enables an alternative option to patients that affords an improved process of recovery. Read below for more details or visit the ChondroBLANK product page for detailed information and to view the product brochure. Visit the new ChondroBLANK product page and view the new ‘see inside’ brochure. WatchPAT Central PLUS – enables specific identification of Central Sleep Apnea (CSA). With this new capability, patients suspected of having sleep apnea can be diagnosed more specifically with an exceptionally easy to use, automated and accurate WatchPAT HST device and benefit from an optimized treatment. Visit the new WatchPAT Central PLUS page for product details. The new, next generation NasoNeb™ Sinus Therapy System offers the same effective treatment in a single nostril delivery system. 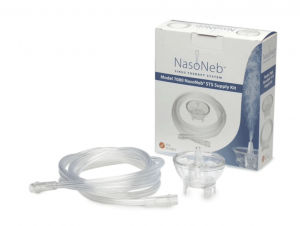 NasoNeb™ further optimises the delivery of medication to the nasal and sinus mucosa using a new single nostril delivery system. NasoNeb™ achieves improved efficacy by combining the correct particle size, airflow and fluid volume to ensure prescribed medication is effective, reaching only the nasal and sinus areas. Visit the NasoNeb® page for further product details or visit www.nasoneb.co.uk if you are a patient looking to find more information and order a system. Visit the new NasoNeb online patient portal. For details on how the NasoNeb system can help you with ordering facility.